CEDAR RAPIDS, Iowa (KCRG-TV9) – A Cedar Rapids businessman convicted of mislabeling Halal meat will spend 2 years in prison. Bill Aossey, 74, founder of Midamar, was sentenced in federal court Thursday morning on federal fraud charges. The sentence also calls for three years of supervision after release and a $60,000 fine. The court recommended placement in a prison near Aossey’s family, and vocational training in culinary arts, carpentry, drafting and/or horticulture. 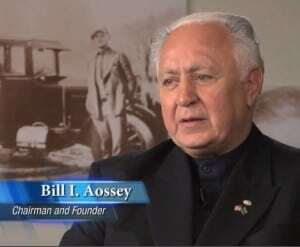 The Aossey family has a rich legacy in Cedar Rapids. Aossey, Sr. father helped establish the Mother Mosque in the early 1900s, which is one of the oldest standing Mosques in North America.